A recent email conversation with an LPM member about popular locations prompted this month’s letter. When I scout a new area with a future photo tour in mind, my first priority is to capture images of the iconic locations of that area, before I then concentrate on capturing images that suit my own personal taste. I know that clients who will join me there will want to photograph the iconic locations, and they are named as such for good reason; exquisite views, outstanding viewpoints that lead the eye to breathtaking scenes and, quite often, easy access for all. When we see a picture of an extraordinary location, it is natural to want to visit and create our own version of that image. For most people it is not about how many times a particular location has been photographed, rather more about visiting and photographing it themselves. Besides, after the digital revolution in photography, and as it stands today, I can't think of many places on this planet that have not become iconic – and I am not talking of places where one needs to be young and fit to visit. It is certainly an interesting topic of debate and many of us have our own views on the subject so we have published two different articles, Benefits Of Photographing Iconic Locations and Benefits Of Photographing Unknown Locations. I look forward to hearing more of your thoughts. Ultimate Landscape Photography Slideshow. Imagery that will blow your mind. 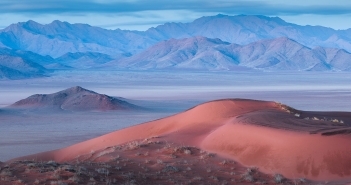 Breathtaking photography by world class landscape photographers. Do you have a gorgeous landscape picture? Would you like to share its story with us? It will earn you $30. Landscape Photography Magazine’s monthly Galleria competition in search for the most inspiring outdoor and landscape photographs from around the world. We are passionate about promoting photographers and every month we showcase the creative portfolios of our members. Every month we scout the world in search of the best intimate and closeup images from around the world, in order to promote photographers and artists. We are passionate about promoting the work of talented landscape photographers. Do you have a gorgeous monochromatic picture to share with us? Landscape Photography Magazine’s monthly competition in search for the most inspiring outdoor and landscape images from around the world. Landscape Photography Magazine’s monthly ‘Wall of Fame’ competition in search for the most inspiring ‘amateur at heart’ enthusiast photographs from around the world. You can now upload your phone and tablet or any other mobile device shots to be published in Landscape Photography Magazine. Landscape Photography Magazine’s monthly competition in search for the most inspiring outdoor and landscape photographers from around the world. We have a free copy of this book to giveaway to one lucky reader. Enter our free book giveaway draw to win it. 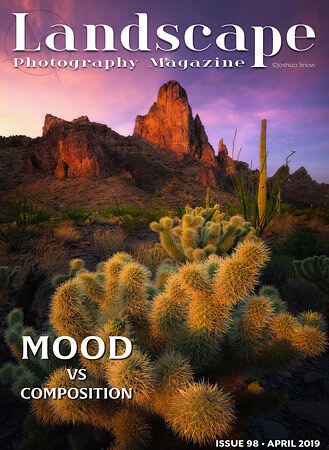 Do you have an idea for an inspiring article on landscape photography? We would love to discuss your idea and publish your article.